Anyone that has kids teeth concerns would like them to not only have good health, but also healthy teeth. Dental health is extremely important in regard to the health of your body. Studies have shown that this is true for both adults and children. 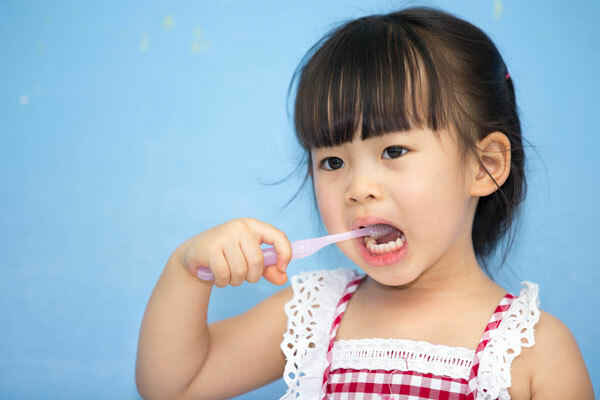 By forming some good habits early on, children can have healthy teeth from now until adulthood. The following tips will help you achieve this goal for your kids. One of the reasons why it’s so hard to keep kids’ teeth healthy is that they love so many of the things that are bad for their teeth. From sugary cereals to candy bars to bubble gum, it seems like everywhere you look there are items designed to give them cavities. Your kids can have much better teeth if you monitor their consumption of sugary products, food types that should not be eaten on a regular basis. It is possible to have your children try different foods that are healthy. If they are healthy, and they like them, this will definitely help their teeth. Natural snacks are very healthy and most are great for your teeth. Snacks that children eat should be healthy, and by giving them options, they can make healthy decisions. Baby teeth fall out, however, they should never be ignored in regard to proper dental hygiene. A child’s primary or baby teeth are more vulnerable to decay than mature teeth, and infections can quickly spread to the nerves. Painful toothaches may arise. To prevent permanent teeth from coming in crooked, it is always recommended that baby teeth should not come out early. The baby teeth, which are sometimes called milk teeth, are important for the future of a child’s dental health. They are also essential for making sure the child can chew properly and even learn to speak in a way that is comfortable and correct. Never neglect your child’s baby teeth for these reasons. Daily nutritional supplements are helpful if you are worried about the health of your kids’ teeth. Adding supplements to their eating regimen is an easy approach to enhance their teeth and their eating routine in the meantime. Vitamin D and calcium are important for both bones and teeth. Drinking milk is not generally an alternative for lactose intolerant children, who may need some time of supplementation. Children also should see the dentist regularly for dental cleanings. Just like adults, children should have a dental cleaning at least once every six months. Speak with your child’s dentist for his recommendation. Children who develop the habit of taking care of their teeth and gums have a better chance of enjoying better dental health as adults. Oftentimes, problems with their teeth begin early in life. Anyone that has neglected their teeth may have many cavities or even missing teeth that can never be replaced. The suggestions we’ve shared in this article can help your children have healthy and strong teeth both now and when they grow up. To make an appointment with the local dentists Tempe residents trust, call (480) 730-5000.